Remove and install threaded fasteners with ease using the 47214 air ratchet wrench from Central Pneumatics. Part of the company's line of Impactools power tools, the wrench comes equipped with a 3/8-inch drive and a reinforced, heat-treated ratchet head for greater durability. Its powerful motor yields 50 foot pounds of torque and 130 RPM of free speed to tackle tough jobs. An ergonomic grip makes the wrench comfortable to use. This tool's TwinPawl Plus ratchet head has been heat-treated for a longer life (click to enlarge). 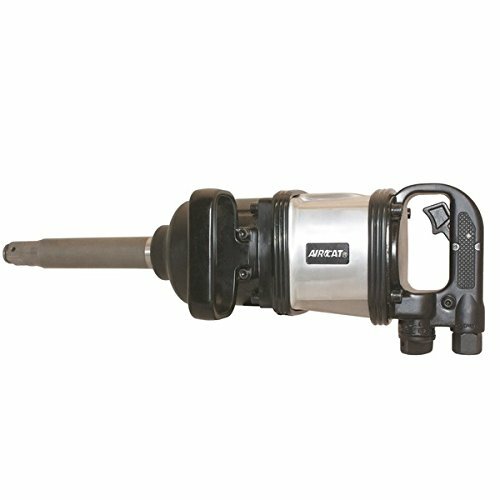 The 231G air impact wrench's features include a variable speed trigger (click to enlarge). 25 ft-lb max torque and 250 rpm free speed deliver impressive power to get the task at hand done fast Unique head construction provides improved durability and more consistent performance over the life of the tool Low-profile forward/reverse control has a wide diameter for easy gripping and also eliminates accidentally changing directions in confined spaces Ergonomic coupling nut and handle ensure a comfortable grip with no sharp edges Weight - 1.4 lbs. 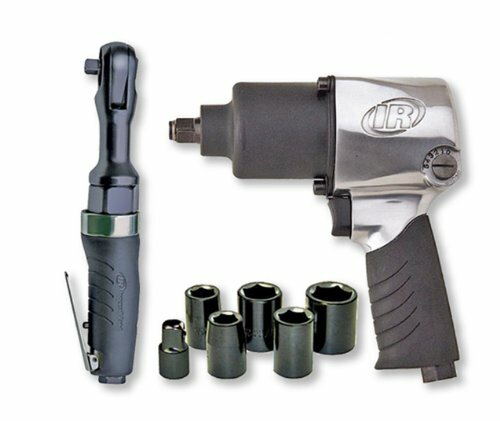 The Ingersoll Rand 105 Series air ratchet offers professional technicians an outstanding combination of value and performance, delivering impressive comfort and durability. The 105-D2 s distinct construction improves upon usability and ease between the unique head construction that increases tool toughness and the ergonomic coupling nut and handle with smooth edges that advances user comfort, this air ratchet is designed for versatile and long-lasting use. Its 25 foot-pounds of maximum torque and 250 rpm free speed supply plenty of power to complete any project quickly. The low-profile forward/reverse control device has a wide diameter, which makes it easy to grip, and prevents the user from accidentally changing directions in confined spaces. The 105-D2 s reputation has been built on consistent performance. Strongest 3/8 Ratchet in its class. Twin Pawl Mechanism Superior Internal Mechanics Patented Quiet Technology (85 decibels) Patented Ergonomically Designed Durable Handle Working Torque: 5-70 Feet Pound. The quietest ratchet on the market today at 82 dba. 90 ft lbs. maximum torque and 70 ft lbs. working torque, ergonomic handle and trigger for ease of use for the operator. All in one you have the power, the silence and innovative design to get the hardest jobs done. Tackling 18 wheels takes a tool that won t quit. Introducing the 2850MAX 1 D-handle Impact Wrench our fiercest 1 wrench engineered to make quick work of big jobs like semi, bus and tractor tires. This tool has been made lighter, pushed harder and worked longer to make sure it can handle repeated demands without sacrificing power. Every time you need extreme torque, this lightweight boss can get the job done. Our most powerful 1" vehicle repair impact wrench yet. The Hammerhead Low Profile Impactool offers the power and speed of an impact with the reach of a ratchet. The combination of maximum power, maximum control, and maximum access now allows you to use an Ingersoll Rand Impactool for virtually any application. 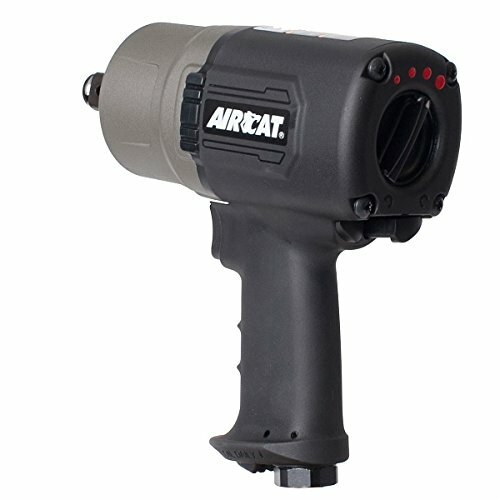 The AIRCAT 805-HT HIGH TORQUE air ratchet is the strongest 3/8" ratchet on the market. Use extreme caution!! Because of the 130 ft-lbs of torque, use with care to avoid finger trapping. 2 Year Warranty. The 805-HT features the latest ratchet head design that eliminates "head spreading" and has a low height profile that can reach tight areas. It has an ergonomically designed composite contoured comfort grip and variable speed trigger with rapid response. The 805-HT is very quiet at only 84 dB and has an adjustable exhaust. 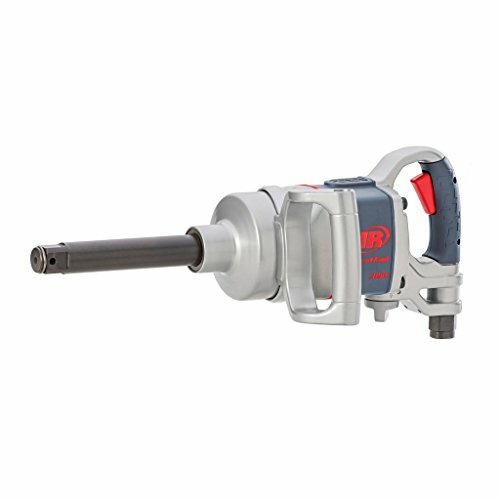 Designed to remove and install threaded fasteners, the Ingersoll Rand 1105MAX-D2 1/4-Inch Drive Composite Air Ratchet combines best-in-class power and speed with superior features for maximum productivity. 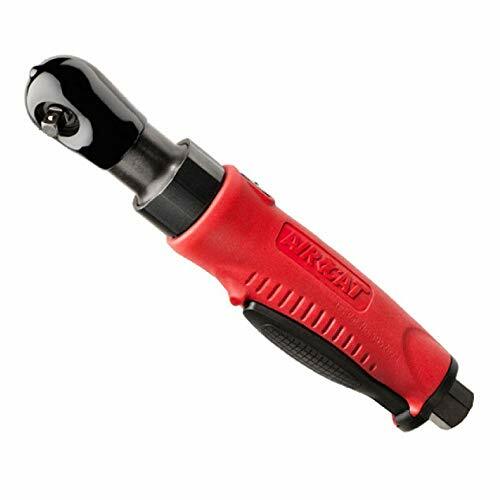 Consistent, convenient, and a real time-saver, this air ratchet helps make jobs more productive and profitable and is an essential addition to any tool box. The ergonomic coupling nut and composite handle reduce strain on wrists and hands. The unique head construction provides durability and consistent performance. Ingersoll Rand 1105MAX-D2 1/4-Inch Drive Composite Air Ratchet and manual. The forward/reverse control has a wide diameter for easy gripping and fewer accidental direction changes. The highly rated 1055-TH is the markety leader in the "stubby" impact category. It produces 500 ft. lbs of torque at 9000 RPM. Very small and lightweight. 2 Year Warranty. Ideal for tight workspaces, such as under dashboards. Before and after daily use, please inject 2-3CC of #60 pneumatic oil. Please let the machine run for a few seconds after filling. 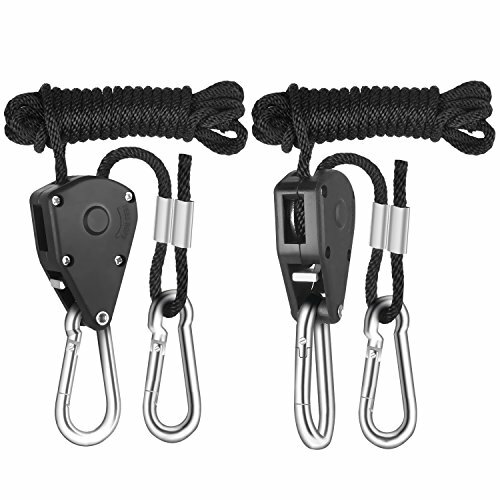 iPower 1/8 Inch 8-Feet Long Heavy Duty Adjustable Rope Clip Hanger, 150lb Capacity.If you use the Light Hanger for luminaries in a grow tent we recommend that you install the Light Hanger with the free end carabiner to the ceiling frame and the mechanism to the luminary as illustrated. This way, you will not put any stress on your tent frame when hoisting and it enables easier adjustment. 1" Extreme Duty Impact with 8" Anvil designed for the Toughest Shops. 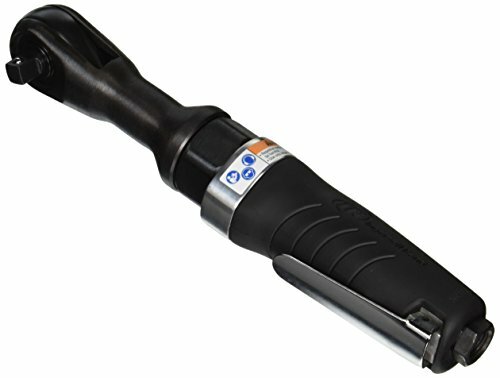 Strongest and most Durable 1" Tire Tool on the planet. 2300 ft-lbs of Torque. 4500 RPM. Side Handle can be mounted on either side of tool. Brushed Aluminum Housing. Triple heat Treated Pinless Hammer Mechanism. 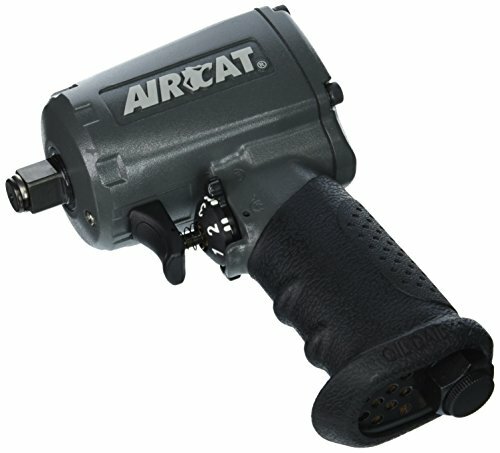 Like all AIRCAT tools, the 1994 has a 2 year Warranty. 1/2-inch ratchet wrench with 360-degree adjustable exhaust to direct air away from operator and work. view larger Variable speed lever-style throttle and 54 ft-lb of maximum torque. view larger Ingersoll Rand 1077XPA 1/2-Inch Pnuematic Ratchet Wrench Ingersoll Rand's more than 100-year legacy of designing world-class tools of the highest quality, durability, and reliability is evident in their line of pneumatic ratchets. Smaller in size and more powerful than competitive models, Ingersoll Rand ratchets are specifically engineered to make your job easier and you more productive. Even more, their enhanced ergonomics make the Ingersoll Rand ratchets convenient and easy to use. Based on the industry's most popular ratchet, the 1077XPA 1/2-inch ratchet wrench delivers an extra measure of durability with an advanced head design, plus a host of other useful features. 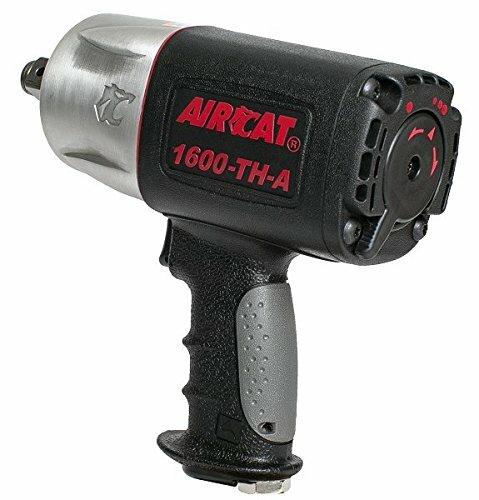 The AIRCAT 1600-TH-A is an upgrade to the 1600-TH. We increased the maximum torque from 1200 ft-lbs to 1400 ft-lbs and increased the loosening torque from 1400 ft-lbs to 1600 ft-lbs. The 1600-TH-A has the patented ergonomic AIRCAT composite housing and grip for user comfort and reduces weight. The twin hammer mechanism and anvil are made from triple heat treated Ni-Cr-Mo alloy steel for durability and strength. It has the patented AIRCAT silencing technology that reduces noise to 86 dBa which is the quietest in this class of impacts. The F/R is combined with the power management switch accessibility. The specs on the 1600-TH-a are as follows : 4500 RPM, Bolt capacity is 7/8", 1100 impacts per minute, weighs 8.25 lbs, uses 10 cfm and weighs 8.15 lbs. 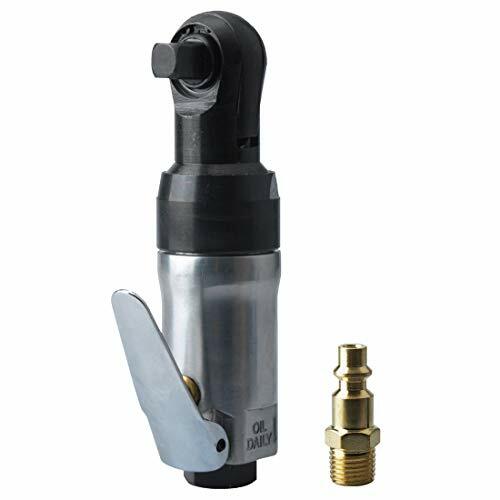 Like all air tools the 1600-TH-A is designed to run at 90 psi at the tool inlet while the trigger is engaged. It carries the standard AIRCAT 2 Year Warranty. 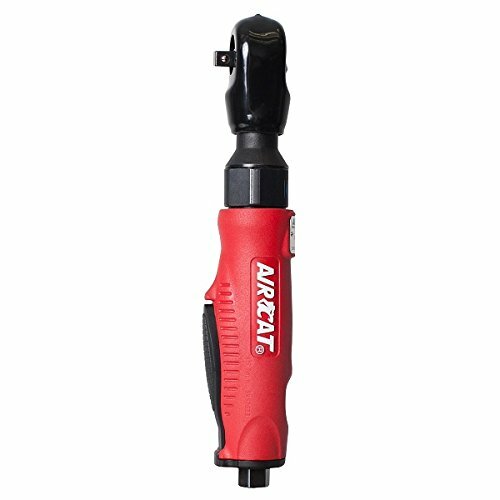 The superior mechanics and internal mechanisms of the AirCat mini air ratchet includes high-quality bearing surfaces, air chambers and turbines. The patented exhaust muffler/filter technology reduces the level of noise while retaining more power and torque.